Temple is a city in Bell County, Texas, United States. As of 2016, the city has a population of 73,600 according to a US census estimate. Located near the county seat of Belton, Temple lies in the region referred to as Central Texas and is a principal city in the Killeen–Temple–Fort Hood Metropolitan Statistical Area, which as of 2015 had a population of 450,051. Located off Interstate 35, Temple is 65 miles (105 km) north of Austin and 34 miles (55 km) south of Waco. ✪ Dead Mans Hill, Bird Creek Drive In Temple Texas. Temple was founded as a railroad town in 1881 by the Gulf, Colorado and Santa Fe Railroad. It was incorporated in 1882. The town was named after a Santa Fe Railroad official, Bernard Moore Temple. Temple was a civil engineer and former surveyor with the Gulf, Colorado and Santa Fe Railway Company. In 1882, the Missouri–Kansas–Texas Railroad built through the town, and soon after, the Santa Fe railroad made Temple a division point. In its early years, Temple was a town of shacks and tents with a large number of saloons and tough characters found in the early West. Locally, it was nicknamed "Tanglefoot", because some residents found that the combination of muddy streets and liquor made walking through the town challenging. Temple is located northeast of the center of Bell County at 31°6′30″N 97°23′21″W﻿ / ﻿31.10833°N 97.38917°W﻿ / 31.10833; -97.38917 (31.108381, -97.389125). It is the second-largest city in Bell County. It is bordered to the southwest, on the opposite side of the Leon River, by Belton, the county seat. Temple is situated within a relatively short drive of most of the major cities of Texas: 124 mi north to Fort Worth, 130 mi north-northeast to Dallas, 65 mi southwest to Austin, 147 mi southwest to San Antonio, and 168 mi southeast to Houston. The city is located right on Interstate 35 running alongside the Balcones Fault with very mixed geography. Towards the east lies the Blackland Prairie region (a rich farming area), and towards the west, the terrain rises with low, rolling, limestone-layered hills at the northeastern tip of the Texas Hill Country. As of the 2010 census, 66,102 people, 23,359 households, and 15,878 families resided in the city. The population density was 834.2 people per square mile (373.6/km²). The 28,005 housing units averaged 359.8 per square mile (138.9/km²). The racial makeup of the city was 68.1% White, 23.7% Hispanic or Latino, 16.9% African American, 0.6% Native American, 2.1% Asian, 0.1% Pacific Islander, and 3.3% from two or more races. The median income for a household in the city was $47,240 and for a family was $42,795. Males had a median income of $30,858 versus $22,113 for females. The per capita income for the city was $25,740. About 10.8% of families and 12.5% of the population were below the poverty line, including 20.0% of those under age 18 and 9.8% of those age 65 or over. Over 100 years ago, the local economy began with the regional Santa Fe Railroad hospital. Temple now thrives in a complex economy, with both goods distribution and its reputation as a regional medical center leading the way. Baylor Scott & White Health is the largest employer in the area with about 12,000 employees, most located at Baylor Scott & White Medical Center – Temple. Temple is home to many regional distribution centers and is headquarters to two large, multinational companies, Wilsonart International and McLane Company, as well as parent McLane Group. In addition to some manufacturing, also a developing customer service/ call center industry exists. Temple is also home to the Temple Bottling Company, which produces Dr Pepper (with Imperial Cane sugar). Temple is largely served by the Temple Independent School District. The district has one high school, three middle schools, nine elementary schools, and three supplemental learning programs (early childhood center, alternative learning center, and an innovative academy high school program). Students within the local school district attend highly regarded Temple High School. In addition to award-winning academic programs in arts and sciences and the International Baccalaureate curriculum, the high-school has a thriving athletic program. In addition, small portions of the city are served by Belton ISD, Troy ISD, and Academy ISD. Several private schools serve Temple, including Christ Church School, Saint Mary's Catholic School (Pre K-8), the associated Holy Trinity Catholic High School, and Central Texas Christian School (K–12). Temple College offers two-year associate degrees in a variety of subjects, with strong programs in business administration, information technology, and nursing. Temple College was the first college located in Temple, and opened in 1926. Temple is also home to one of the Texas A&M College of Medicine campuses. It operates in conjunction with the Baylor Scott & White Medical Center – Temple and the Olin Teague Veterans' Hospital Center. Adjacent Belton is home to the University of Mary Hardin–Baylor, and Killeen hosts Texas A&M University–Central Texas. Temple is within a short drive of several other regional and national universities: Baylor University in Waco, the University of Texas at Austin in Austin, Texas A&M University in College Station, and Southwestern University in Georgetown. The main city newspaper is the Temple Daily Telegram. Radio stations licensed in Temple include FM stations KVLT-FM, KBDE-FM, KLTD-FM, and KRYH-LP; and AM stations News Radio 1400, and a number of other nearby radio stations can be heard in Temple. KCEN-TV is the only television station licensed in Temple, and a number of broadcast channels are available in the city. Temple is served by Charter Spectrum (formerly Time Warner Cable), DirecTV, Dish Network, and Grande Communications. The Hill Country Transit District (The HOP) operates three bus routes within the city, with an additional bus connection to Killeen. Temple was founded as a railroad junction and serves as a major freight railroad hub to this day. Both the Union Pacific Railroad and BNSF Railway have mainlines serving the city, and a BNSF rail yard and locomotive maintenance facility are located here. Amtrak serves the city with its Texas Eagle passenger train, which stops at the Temple Railway Station. In 2009, the Texas Department of Transportation (TxDOT) proposed the Texas T-Bone High Speed Rail Corridor that would create a high-speed rail line from Dallas-Fort Worth to San Antonio and another line from Houston that would connect with the first line. While the location for the connection of the two lines had not been officially established, the mayor at the time, Bill Jones III, made an effort to ensure that connection happened in Temple. Temple would be a stop along the line, regardless of where that connection between the two lines would be. The next year in 2010, TxDOT received a federal grant to conduct a study for a line connecting Oklahoma City with San Antonio, and Temple was in the pathway of that line. In 2013, a consultant for the Texas High Speed Rail Corporation stated that the only two connections being considered for the two lines were a connection in Temple and a connection in San Antonio; they expected to make that decision by the end of 2014. The organization also indicated that they plan to have the high-speed rail in operation by 2025. If that connection occurred in Temple, the Killeen – Temple – Fort Hood metropolitan area, with a population of 420,375, would be within about 45 minutes of Dallas, Fort Worth, Houston, and San Antonio. Temple is known as a regional medical center, with three major hospitals, Baylor Scott & White Medical Center – Temple, Baylor Scott & White McLane Children's Medical Center, and Olin E. Teague Veterans' Medical Center. As a small city with such extensive medical facilities, Temple has the highest number of physicians per capita in the country with 230 physicians per 100,000 residents. Baylor Scott & White Health is the largest employer in town with about 12,000 employees. Temple home to one of the Texas A&M College of Medicine campuses. The Texas State Soil and Water Conservation Board has its headquarters in Temple. Temple is policed by the Temple Police Department and the Bell County Sheriff's Office. The Texas Department of Criminal Justice operates a regional office in the city. The Texas Highway Patrol's Waco district maintains an office on I-35 in Temple. The United States Postal Service operates a regional office in the city. Craig McMurtry, former pitcher for the Atlanta Braves and Texas Rangers, baseball coach for Temple College. ^ "Table 1. Annual Estimates of the Population of Metropolitan and Micropolitan Statistical Areas: April 1, 2000 to July 1, 2009 (CBSA-EST2009-01)". 2009 Population Estimates. United States Census Bureau, Population Division. 2010-03-23. Archived from the original (CSV) on June 15, 2010. Retrieved 2010-03-25. ^ "Poynette, Wisconsin". City of Temple History. Retrieved July 29, 2012. ^ Texas State Historical Commission. "Temple, Texas Historical Marker". ^ "Temple Railroad and Heritage Museum website". Rrhm.org. Archived from the original on 23 July 2011. Retrieved 27 August 2017. ^ Bureau, U.S. Census. "American FactFinder - Results". Factfinder2.census.gov. Retrieved 27 August 2017. ^ Connelly, Michael, Robert McClure, and Melinda Reinke. "Into The Storm The Story Of Flight 191." South Florida Sun-Sentinel. July 27, 1986. p. 1. Retrieved on August 3, 2015. ^ "US Gazetteer Files 2016-Places-Texas". US Census. Retrieved 12 January 2017. ^ "Monthly Averages for Temple, TX". Weather.com. The Weather Channel. Retrieved August 14, 2013. ^ "Feed My Sheep". Feed My Sheep. Retrieved 27 August 2017. ^ "Texas Independent School District". Texas Independent School District. Retrieved August 5, 2012. 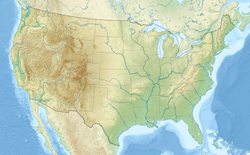 ^ "Geographic Information Systems School Map". City of Temple. Retrieved 2017-02-12. ^ "St. Mary's Catholic School". St. Mary's Catholic School. Retrieved August 5, 2012. ^ "Holy Trinity Catholic High School". Holy Trinity Catholic High School. Retrieved August 5, 2012. ^ "Central Texas Christian School". Central Texas Christian School. Retrieved August 5, 2012. ^ "Temple, Texas". Texas State Historical Association. Retrieved July 29, 2012. ^ "FM Query Results". Federal Communications Commission. Retrieved 2017-02-12. ^ "AM Query Results". Federal Communications Commission. Retrieved 2017-02-12. ^ "Temple, Texas Radio Stations". Radio Lineup. Retrieved 2017-02-12. ^ "TV Query Results". Federal Communications Commission. Retrieved 2017-02-12. ^ "Temple, Texas Channel lineups:". TVTV.com. Retrieved 2017-02-12. ^ "Temple, Texas Mayor Bill Jones on "T-Bone" high speed rail". Trains4america.wordpress.com. 18 June 2009. Retrieved 27 August 2017. ^ "Texas Awarded $5.6 M For High-Speed Rail Grant". Nbcdfw.com. Retrieved 27 August 2017. ^ "Bryan City Council Gets Update On High Speed Rail Project". Kbtx.com. Retrieved 27 August 2017. ^ "All Physicians per 100,000 Residents - Hospital Referral Regions". The Dartmouth Institute for Health Policy and Clinical Practice. Retrieved 2017-02-12. ^ "All Physicians per 100,000 Residents - Hospital Service Areas". The Dartmouth Institute for Health Policy and Clinical Practice. Retrieved 2017-02-12. ^ "Contact Us Archived 2010-07-25 at the Wayback Machine." Texas State Soil and Water Conservation Board. Retrieved on June 3, 2010. ^ "Parole Division Region IV Archived 2011-09-04 at the Wayback Machine." Texas Department of Criminal Justice. Retrieved on May 21, 2010. ^ "Property Search Results > 110482 STATE OF TEXAS for Year 2017". Bell County Appraisal District. Retrieved 2017-02-12. ^ Post Office Location - TEMPLE Archived 2010-05-22 at the Wayback Machine United States Postal Service. Retrieved on May 21, 2010. ^ "templetexas.us". Archived from the original on 31 December 2006. Retrieved 27 August 2017. ^ "William Jackson Adkins". wikitree.com. Retrieved August 14, 2015. 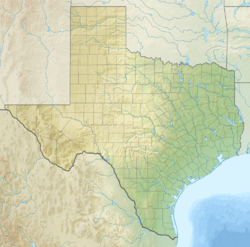 Wikimedia Commons has media related to Temple, Texas. "Temple (Texas)" . Encyclopædia Britannica. 26 (11th ed.). 1911. p. 603.